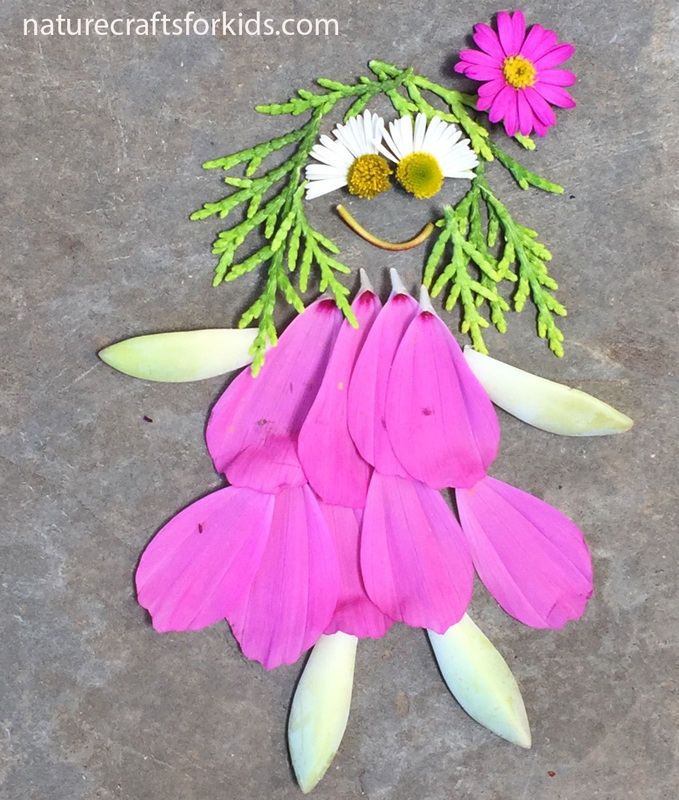 Encourage children to pick some flowers and leaves and arrange them on the ground to create their own unique little character. Explain that sometimes the most beautiful things aren’t permanent, eg. flowers and sunsets, but if we want to, we can capture them with photographs. Sometimes called ephemeral art, this style of using natural materials has been used by famous British artist and sculptor Andy Goldsworthy.